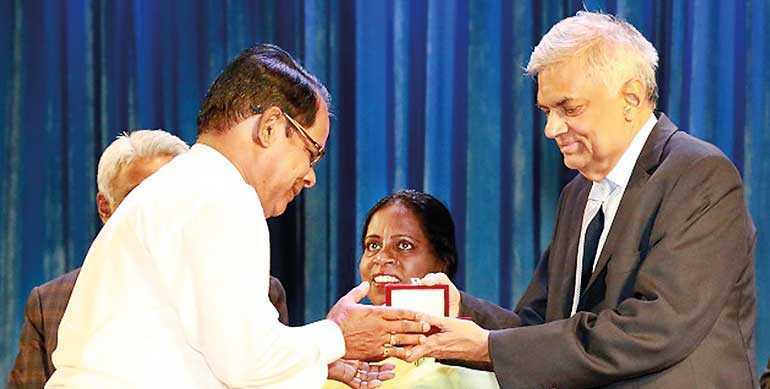 The Ceylon Petroleum Corporation (CPC) felicitated 73 of its employees who completed 25 years of service, in the presence of President Maithripala Sirisena and Prime Minister Ranil Wickremesinghe, at a grand ceremony which also marked a year since the new management of CPC took administrative control of the entity. CPC has made significant headway in the past one year in terms of reforming the institution to curtail losses and fortify Sri Lanka’s energy sector. Under the new directive of Minister of Petroleum Resources Development Arjuna Ranatunga, Ceylon Petroleum Corporation Chairman Dammika Ranatunga, and the management of CPC, the institution has been successful in achieving record savings throughout its operation, despite several external factors. When the new management took over operations at CPC in May 2017, the budgeted loss for the year was estimated at Rs. 14.5 billion, but through a series of strategic initiatives and aggressive measures, CPC recorded a profit of Rs. 1.57 billion, resulting in a saving of Rs. 16.07 billion in just seven months. This turnaround came despite a challenging external environment due to the depreciating value of the rupee, rising global fuel prices and sudden changes to Dollar Loan interest rates. In the past year, the management of CPC and Ceylon Petroleum Storage Terminals Ltd. (CPSTL) have drastically changed several internal processes and revamped nation-wide infrastructure to increase savings and productivity, strengthen national energy security, improve quality and support national industries. A zero-based budgeting process was introduced to promote more fiscal discipline, reducing expenditure and being stricter on the negotiation of interest rates on loans, enabling better management of debt. Within this period, CPC was able to record Rs. 11 billion in interest earnings due to improved treasury controls leading to better working capital management when dealing with banks. This was a 30% increase from the previous year’s Rs. 8.3 billion in interest earnings. In addition, CPC for the first time in 50 years, comprehensively re-evaluated assets spread throughout the country in an inventory control digitisation initiative, which led to CPC’s balance sheet gaining Rs. 10.2 billion from the inclusion of the value of its assets valued during the program. This enabled CPC to gain more preferential rates when acquiring loans for operations. “It has been a year of transformation. We have taken many steps to ensure a secure, high quality national fuel supply while managing many challenges both externally and internally. Our priority is always to work in the best interest of the people, even over profits sometimes. Everyone at the Ministry of Petroleum Resources, CPC and CPSTL have worked incredibly hard to revamp essential infrastructure, introduce new products, bolster support to vital industries and better manage financials so the gains can be passed down to the public. 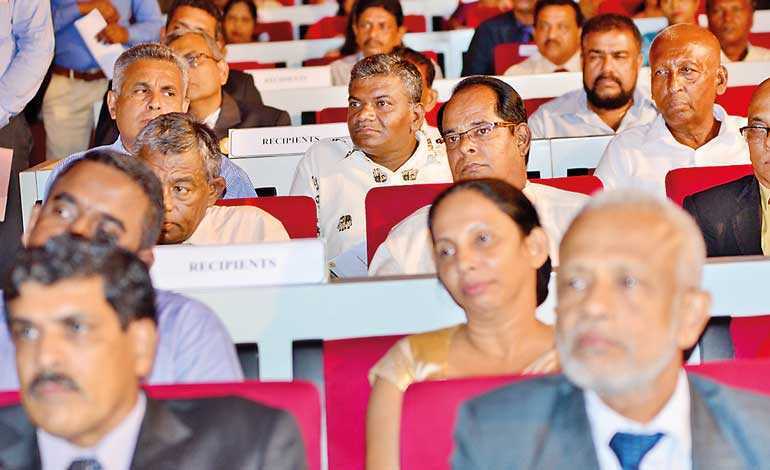 We have recorded significant savings in just one year and we will continue to pursue further progress, which will contribute to the nation’s journey forward,” said Arjuna Ranatunga, speaking at a recent press briefing. Initiatives launched, expedited or completed during this first year under the new management include the installation of an automated terminal at Sapugaskanda, the 97.5% completion of a 12-inch diameter pipeline connecting the Colombo Harbour to the Kolonnawa Terminal, expansion of the Kolonnawa Storage Terminal and the Sapugaskanda Refinery and other internal changes such as the revamping of internal processes such as talent recruitment and retention. On an environmental front, CPC recently introduced the environmentally-friendly, low emission Euro 4 fuel to the market with the aim of improving the country’s energy and transport sector in terms of environmental conservation. The highly efficient Euro 4 fuel will substitute the existing 95 octane petrol and Super Diesel 4 star, thus offering consumers a better product that is of low emission and high in fuel efficiency. To bolster the construction industry and SMEs, CPC began supplying the market with locally-produced Bitumen for the first time in six years. CPC and CPSTL have also undertaken a number of key initiatives that support Sri Lanka’s ambition to become a regional aviation hub, by completing the installation of Jet A1 Fuel Filtration Facilities and initiating the feasibility study on a Jet Fuel Transfer Pipeline – running parallel to the Colombo-Katunayake Expressway – that will connect the Muthurajawela Terminal to BIA. The Sapugaskanda Oil Refinery also recently underwent a vital renovation that will increase its productivity while strengthening national energy security. In all, through a series of strategic and significant measures, CPC has managed to effect positive change that will benefit the country and the public in the short and long-term.